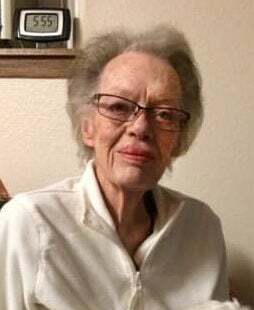 RAPID CITY | Peggy Jean Avery, 88, died Friday, April 12, 2019, at Rapid City Regional Health Home Plus Hospice House. Peggy was born Dec. 13, 1930, in Ashburn, GA, to Nell and Jule Zorn and grew up on a peanut farm. She moved to South Dakota in her early 20s working at Rushmore Airbase as executive secretary to the base colonel. She married Dr. Glen Heidepriem and they had three children, Michael, Glen and Martha. Peggy owned and operated "All Continents Travel" during this time which sparked her interest in travel. She married Jim Avery in 1973. Peggy embarked on another business "The Mail Room". In life she was most happy surrounded by family and friends. Shopping with her daughter Martha was a favorite excursion. She grew beautiful flowers and enjoyed keeping the birds fed. Her little dog Katie was a constant companion. Peggy was preceded in death by her husband, Jim; son, Michael; two sisters; and a brother. Survivors include son, Glen (Jennifer) Heidepriem of Rapid City; daughter, Martha (Monte) McLane, Two Dot, MT; as well as four grandchildren and four great-grandchildren and numerous nieces and nephews. the life of: Avery, Peggy J.